The time seems to be flying past. SubhanAllah, weekend comes around so quickly and before you know it is Monday again. All kids did the following problem solving activities in groups. Guessing the number. They have numbers 1-100 in front of them. They have to listen to the description of a number and guess what number is. So example: The number is greater than 50. The number is even number. If you add the digits you get 13. The difference between the digits is 3. What is the number? Answer 58. Odds and Evens. Kids have 4×6 grid with 24 boxes. They have 18 counters. They have to put the counters in the boxes in such a way that there are even number of them in each row and columns. This was really hard as they struggled to understand the problem. And they kept trying to place the stones in different boxes but couldn’t solve it. Activity with cubes. 4 cubes are used to make a stand for 3 winners at the Olympic Games. If 9 cubes are used to make a stand for 5 winners, how many cubes are needed to make a stand for 7 winners? Answer 16. Mashallah, these activities are really helpful to develop reasoning and logical thinking. Some children are finding it difficult solve the problems as they are not used to these kind of problems in Maths. They mostly struggle to grasp concepts, to really understand what is the problem. Some elder children understand the problem but don’t have the tools or strategies to solve the problems. I am hoping these will become easier inshaAllah as we practice more in the future. After group activities, they did their individual works. Year 3/4 group- practice adding and subtracting with numbers upto 1000. Some kids struggled with subtraction and the rule of “borrowing”. Also, a couple of students need more explaining and practice in place value. Year 4/5 group covered working out the area and perimeter of a rectangle. Again, a couple of students struggled multiplying two digit numbers which they will need more practice. Following on from Electricity unit, kids learnt about materials used in building circuits such as conductors, insulators and resistors. They practiced building parallel and series circuits using water. They learnt about electrons and how salty water can act as conductor and lets electricity pass. They fixed problems in incomplete circuits. Alhamdulillah, most children have completed their homework which is really important. It is difficult to make a progress unless parents reinforce what is taught in class at home and children practice outside classroom. We look forward to week three inshaAllah. New academic year- new beginning 2016-2017. Alhamdulillah, the new academic year has been very productive so far. Despite the fact that we have had a new addition to our family- baby Sara!!! We have been blessed with a daughter who is a month old already. Since I am full time stay at home mom again, all kids are being home-ed (no Arabic school this year). We are trying to catch up with the British curriculum as much as we can. Sumayya is doing Year 4/5 syllabus and Safiyya is doing Year 3/4 material. I have also started teaching Ibrahim this year- he is ever so happy to be doing more structured/formal work with his sisters. He is learning phonics, dolch words and basic addition/subtraction at the moment. As I always emphasize, the most important thing in any home-ed family is the routine. Once you establish routine, certain things become habitual and we as mothers don’t have to nag our children to complete their daily tasks. For example, last year when I was working full time, we didn’t have any home-ed routine. I was trying to fit in little bit of work here and there but nothing on a regular basis. As such I always used to nag Sumayya to do Maths. As most of you know, she has a strong disliking towards Maths and used to have emotional meltdowns. Every little maths worksheet used to take ages to complete. I spent long hours lecturing her on the importance of Maths……it was exhausting. Alhamdulillah, however much she hates it, we now do Maths daily and I don’t have to ask her to do it. After we came back from England, we made a timetable for the new academic year and stuck to it for 4 weeks. It has just become a habit now. So this is our home-ed routine now. The girls have to do 2 pages of their Maths books daily. Safiyya is currently doing Countdown Grade 3, Sumayya is doing Countdown Grade 4. Unless they are starting a new topic or stuck on a problem, my help is not needed. I spent most of this time with Ibrahim, doing phonics, reading and writing, addition and subtraction with numbers 0-10. Ibrahim is learning how to read at the moment. I bought him a few phonics books, set of flashcards and lots of books. He has memorized most of the books but that is fine. He has learnt to spell most CVCs and does copywork for handwriting daily. We do some phonics, reading comprehension where I read outloud the story and he has to answer the questions, and dictation of CVCs for spelling. He is doing really well alhamdulillah. We do very short lessons, 5-10 minutes of each activity and we always stop as soon as I notice he is getting bored or tired of doing the same thing. I never insist to finish anything with him. If he asks to stop in the middle of something, I always agree and leave it to the next day. Safiyya is currently working through the Year 3/4 syllabus I made for her. We incorporate Writing With Ease Level 3 (complete writing programme incorporating punctuation, spelling, reading comprehension), Full Language Lessons Level 2 (mainly grammar with reading comprehension) and various worksheets from the web. 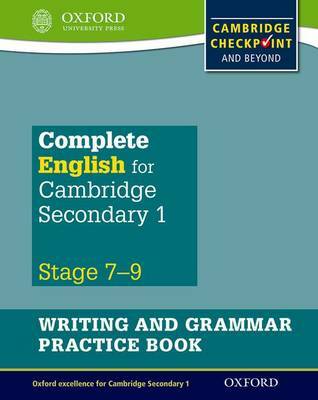 Sumayya has just started Complete English for Secondary 1. 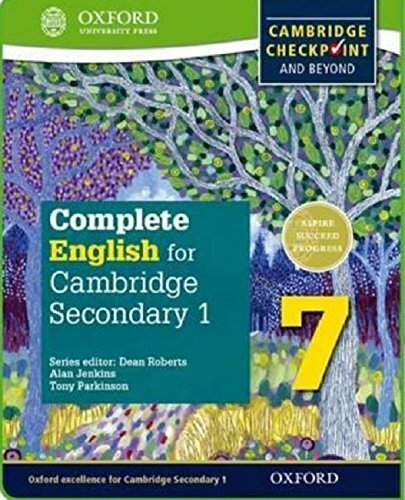 It contains 3 books, study book, workbook, writing and grammar practice book. We usually study between 10am-1pm, with breaks at various points. Alhamdulillah, the girls can both study independently and require very little help. I spend very little time teaching them, mostly just supervising to make sure they are on task. 5. Usually between 1-2pm we have lunch, pray dohr and play a little. 6. Hifz revision/Play. Alhamdulillah they are going to Tahfeez from Asr to Magreb daily. So after dohr they have to revise and memorize their given ayahs by a teacher at Tahfeez school. 7. They go to tahfeez 3:30-5:30pm. 8. When they return from Tahfeez school around 6pm, we have a family dinner. After dinner they usually get to watch something for an hour or so. 9. Play time- they play for a couple of hours in the evenings. 10. They go to bed around 10pm daily. Alhamdulillah, in between tending to one hundred needs of each child, breastfeeding, changing nappies and washing bums, we have so far been able to stick to our new home-ed routine and had a very productive start to the year!!! Alhamdulillah. Praying for all our home-ed friends for a very productive year full of bonding and connecting. Happy Homeschooling and Happy Teaching my sisters.